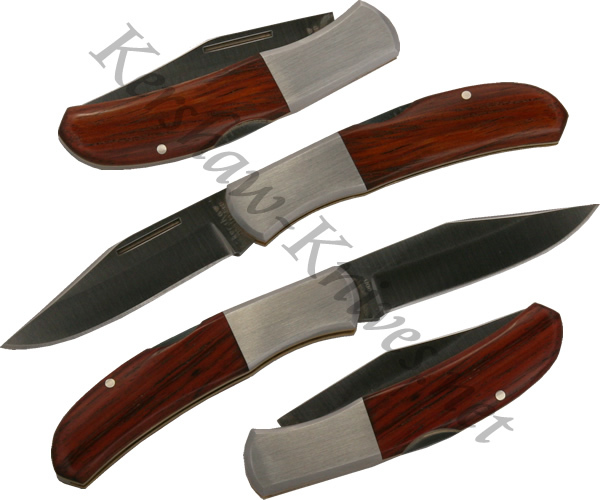 The Kershaw Whiskey Gap knife is a lockback folder that has an AUS6A stainless steel blade. What gives this knife its unique appearance is its unmistakable handle with satin finished bolsters and rosewood inlay. The Whiskey Gap weights only 1.9 ounces whilst having a blade that is 2.25 inches long.